The Syrian revolution is an on-going one, so are the Rafidi regimes blatant and shameless lies in regards to its military interventions and activities in Syria. Let us start by going a bit back in the past, the year 2012, where whining and wailing Revolutionary Guards were caught in Syria. This is where Iran’s highest ranking officials, including revolutionary guards and clerics started to deny the interference of Iranian troops in Syria. The sheer hypocrisy is that these very same Rafidite Safavid Takfiris, the enemies of the Prophet’s companions and wives, have the audacity to others as ‘Takfiri groups’ and the likes of Saudi Arabia, Qatar etc. as supporters of the alleged ‘Takfiris’ who make up lies against Iran (i.e. that Iran is military wise involved in Syria). On 06/08/2012, pro-Iranian, Russian sources reported that the Iranian foreign ministry denied on Monday that the 48 Iranians kidnapped in Syria on Saturday were members of the elite Iranian Revolutionary Guards. 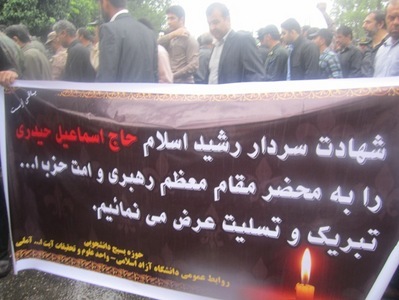 “We strongly deny the information disseminated by certain media that our kidnapped pilgrims are members of the Islamic Revolutionary Guards Corps. All of them are pilgrims who came to Damascus to visit its shrines,” Iranian Deputy Foreign Minister Hossein Amir Abdollahian said. So these man that were captured by the FSA were only average Iranian ‘pilgrims’ (to shrines, as it’s common in the polytheistic religion of the Twelver Rafidah Shia) the Iranian regime claimed. A likely story! Since the stupidity of this narrative was just too obvious (literally all of these captured men had Revolutionary Guard Identity Cards! 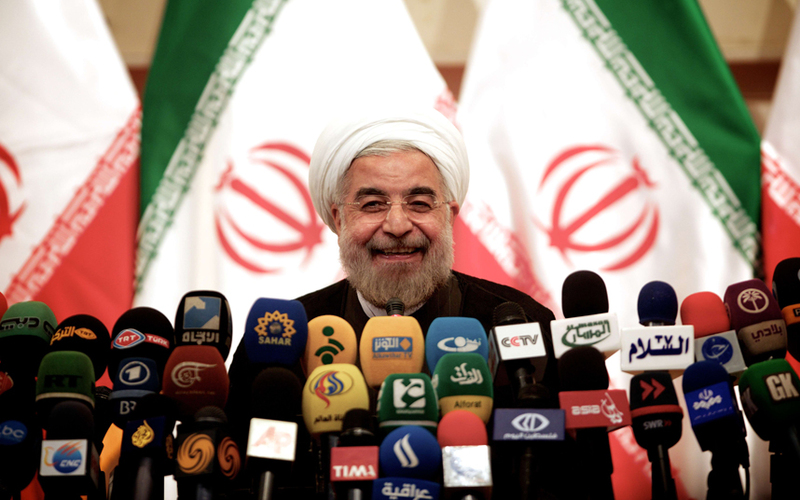 ), the Iranian hypocrite regime started to change the narrative. The mess was done though, they even made themselves look more ridicolous as they already were. 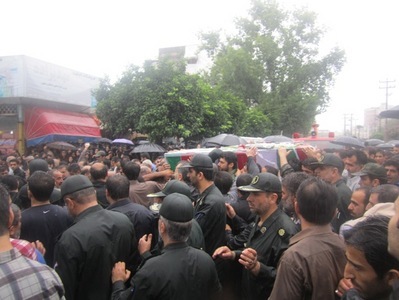 Only two days after the report about the captured Revolutionary Guards, precisely 08/08/2012 the very same Russian and pro-Iranian news agency (and of course all Iranian news agencies too) reported that the captures ‘tourists and pilgrims’ where in fact RETIRED Revolutionary Guards. How sweet indeed! 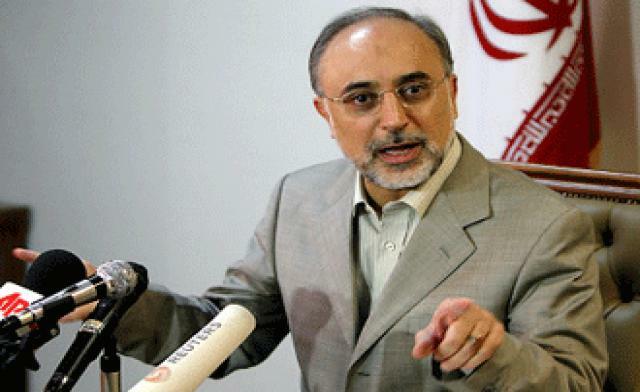 Foreign Minister Ali Akbar Salehi denied they had any military role at present and reiterated that pilgrimage to Damascus shrines was the only purpose of their journey. “Some of those pilgrims used to be Revolutionary Guards members, some of them are retired servicemen,” the minister said. Aren’t they smart the Safavids?! Masters in inventing lies and ridicolous narratives, first they say they were pilgrims, then they had to change the narrative to ‘retired Revolutionary Guards’ pilgrims. Yeah, it must be absolutely common to visit a shrine in a country were a civil war is going on (a bunch of men only, not a single women or child), as a bunch of ‘retired Revolutionary Guards. The plain truth is, Digarban, a website that monitors the country’s conservatives and their online activities, reported that at least seven guards commanders were among the released prisoners. 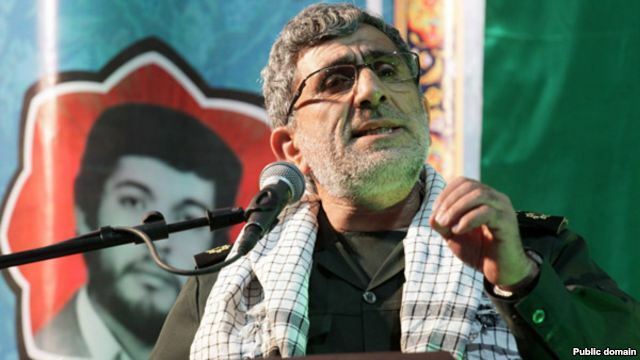 “Abedin Khoram, the [current] commander of the Revolutionary Guards’ division in Orumieh … is among those released who have returned to Iran,” it reported. Not to mention that these 48 ‘pilgrims’ were traded for 2100 Syrian prisoners! As a matter of fact some Iranian sources (even before the even of the captured ‘retired Revolutionary Guards’ confirmed Iran’s MILITARY involvement in Syria, but these were quickly removed and denied by other Iranian sources. Contradictions after all, very common when lying has become a habit. THE GUARDIAN reported on Monday the 28 May of 2012 an apparent slip-up and blunder of a senior commander in Iran’s Revolutionary Guards has admitted that Iranian forces are operating in Syria in support of Bashar al-Assad’s regime. 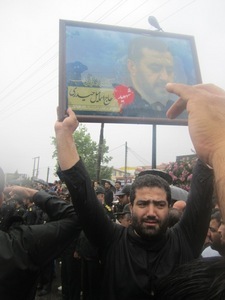 Ismail Gha’ani, the deputy head of Iran’s Quds forces (the external arm of the Revolutionary Guards), tasked with overseas operations, said in an interview with the semi-official Isna (The Iranian Student News Agency) news agency: “If the Islamic republic was not present in Syria, the massacre of people would have happened on a much larger scale.”Isna published the interview at the weekend but subsequently removed it from its website. Admitting, then removing the report! 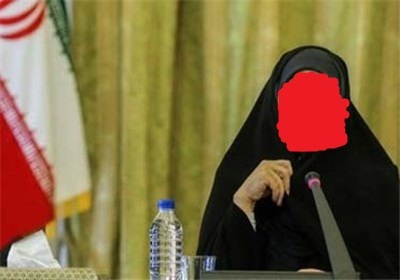 In fact, it gets worse, for high ranking Iranian officials later on claimed that Iran has no military presence in Syria! 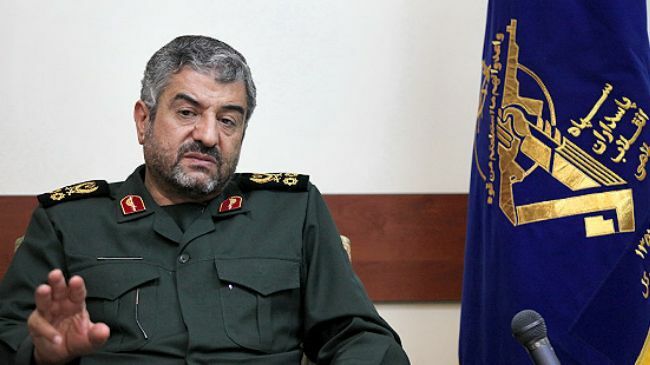 The head of the Revolutionary Guards in Iran suddenly claims Iran has no MILITARY presence in Syria! Yes, you heard right, after ‘retired Revolutionary Guard pilgrims’ tale, after the admission of the deputy head of Iran’s Quds force, suddenly the HEAD of the Revolutionary Guards in September 2012 claimed that Iran has no military presence in Syria! Some members of Iran’s elite Quds force were in Syria but this does not constitute ‘a military presence’ according to the notorious liars of the Rafidite Safavid regime. Army commander gives clear sign of Tehran’s continuing support for Assad’s regime but denies troops signify military presence. 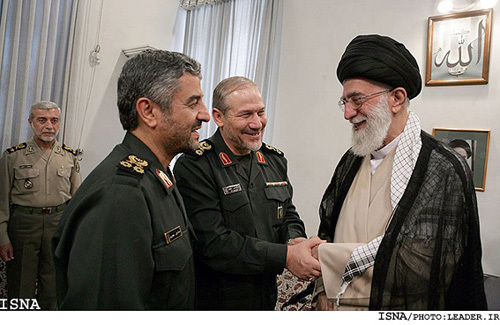 It’s worth mentioning that General Mohammad Ali Jafari who by the way is THE IRGC Commander (commander of the Army of the Guardians of the Islamic Revolution of Iran), is the same bluffer who became a laughing stock after Iran expressed the hope that Syria will strike back at Israel after the apparent Israeli raid on one or two targets in Syria, presumed to be a chemical/biological weapons plant and a shipment of advanced anti-aircraft missiles. Middle East Online, however, remembers that only weeks before Iran declared that any Israeli strike on Syria will be considered an attack against Iran and Iran would retaliate. That statement, the latest of a long line of similar declarations, was made by Ali Akbar Velayati, assistant to the Supreme Leader Khamenei. Iran went so for to claim that a Syrian response is imminent, and ‘will put Israel in a coma.’ Tehran also announced that thousands of Israelis are preparing to leave the country in anticipation of the massive Syrian response. Now did ANY of that happen? Did Iran ACTIVELY fight Israel and retaliate?! Did a SINGLE Israeli suffer since the Syrian revolution, either from Iran or its proxies (the party of Satan in Lebanon, Bashar etc.?) Of course not! 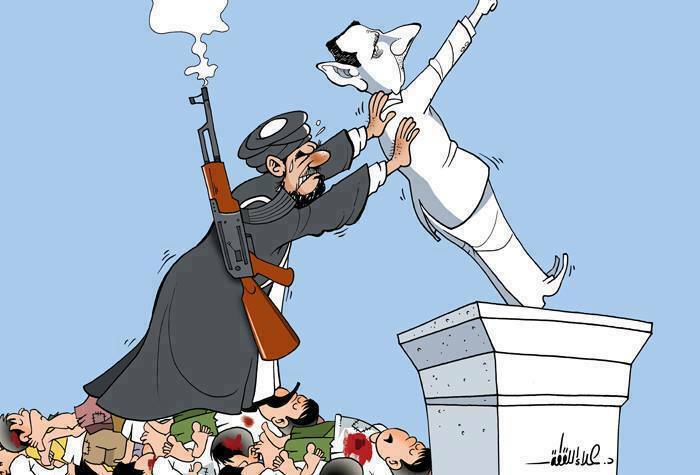 Iran is busy killing Muslims, Sunnis, particularly the Syrian ones who oppose the Iranian slave Bashar. PRESS TV (Iranian mouthpiece in English language) reported on May 25, 2013 that Iran denied any military presence in Syria! 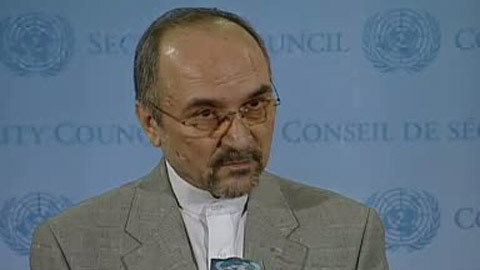 The Iranian ambassador to the United Nations has dismissed claims about Iran’s military presence in Syria and the shipment of arms by the Islamic Republic to the Arab country.“Despite the unfounded allegations, no Iranian military forces or advisors are present in Syria, but, unfortunately, certain regional countries are interfering in Syria’s internal affairs and fanning the flame of the conflict in the country by sending arms to extremist and terrorist groups,” Mohammad Khazaei said. 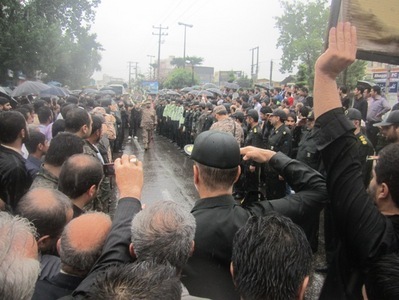 On the 16/06/2013 a Russian pro-Iran news agency reported how Iran was about to send a contingent of Iranian Revolutionary Guards, precicely 4,000 troops to Syria to aid the Kafir Bashar Assad’s Alawite forces to suppress the Syrian people and their revolution. Two days later, on the 18/06/2013, the very same Russian and pro-Iranian regime news agency reported a denial, as usual the Iranian regime was quick to deny the obvious and stated that ‘Iran has no plans to send troops to aid Syrian President Bashar Assad’s forces in the ongoing civil war there’. Iran has no plans to send troops to aid Syrian President Bashar Assad’s forces in the ongoing civil war there, an Iranian Foreign Ministry spokesman said on Tuesday, rejecting media reports claiming Tehran was set to intervene directly in the fighting. 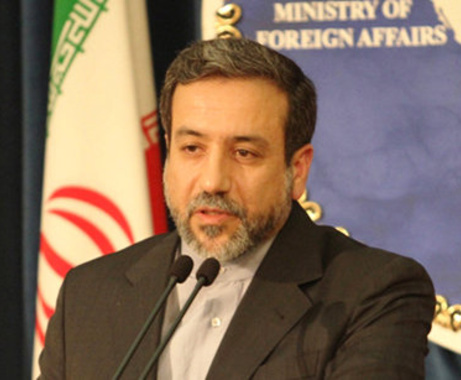 TEHRAN – Iran has denied Saudi Arabia’s recent claims that the Islamic Republic has been involved in the Syrian crisis, calling Riyadh an accomplice of Takfiri terrorists in their crimes against the defenseless people of Syria. Speaking at a news conference with U.S. Secretary of State John Kerry in Jeddah on Tuesday, Saudi Arabian Foreign Minister Prince Saud al-Faisal said that the kingdom “cannot be silent” about Iranian intervention and called for a resolution to ban arms flows to the Syrian government, Reuters reported. Claims? Iran standing for the dfenseless people of Syria?! So Saudi Arabia is an ‘accomplice of Takfiri terrorists’ for supporting the resistance of the Syrian people against the Kafir, Alawite and mass-murderer Bathist Bashar Al-Assad and Iran by supporting Bashar is defending the Syrians?! Next we’d like to remind you of what the new Rafidi Mullah president of the Safavid state shamelessly claimed, as been reported on the mouthpiece channel of the Iranian regime in the west, PRESS TV on June 24, 2013. Alright, how relieved we are, the Iranian Rafidite Safavid regime just wants to ‘help’ its (Sunni) neighbours. Now the world, the Islamic Ummah has witnessed how their help looks, how the Iranian regime is ready to back a Bathist and secularist mass-murderer like Bashar with the help of other major Kafir forces (and TRUE allies of Iran), such as Russia and China. TEHRAN (Tasnim) – Iran does not have official military presence in Syria, Iranian Foreign Ministry spokeswoman underlined, and added that Tehran advocates political solution to the crisis in Syria. Iran has no military presence in the crisis-hit Syria, said Marziyeh Afkham in her weekly press conference, when asked about Iran-Syria cooperation in defense fields. 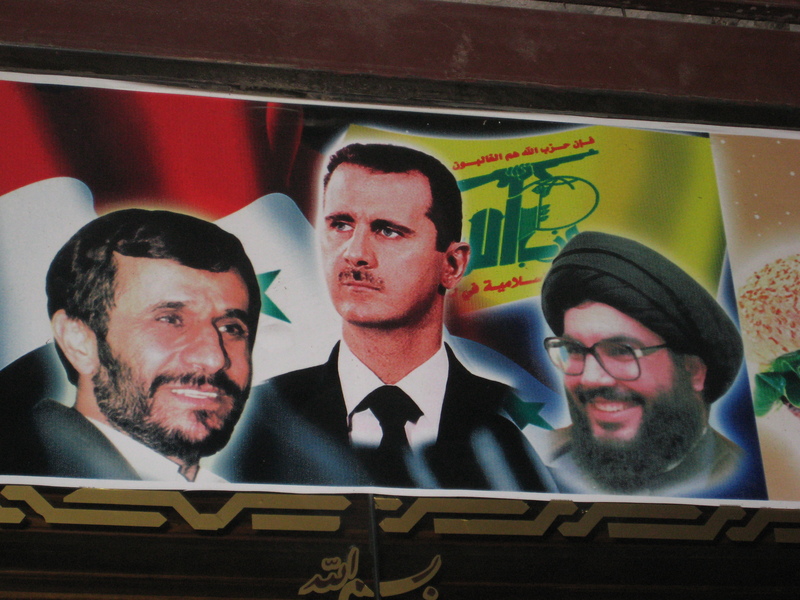 The slaves of the Rafidah in Tehran and Qom, the Syrian regime who literally sold their souls and the lives of their people for Rafidi were of course quick to repeat the same lie. The following swine is not the Jew Sharon, but the Syrian Foreign Minister Walid al-Moallem (the one who stated that Bashar’s Syria is will prevent the emerge of an Islamic state! ), the shameless liar also denied claims about Iran’s military presence in Damascus, saying Tehran always seeks a political solution to the crisis in Syria. What a joke! Of course it was reported by the joke of a news agency and channel, PRESS TV, the mouthpiece of the Iranian regime, on Jun 24, 2013. 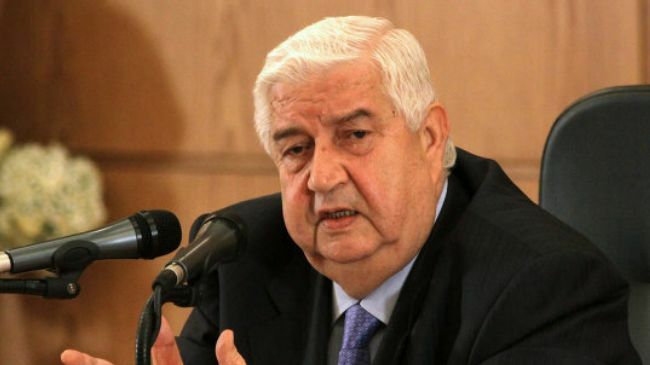 Syrian Foreign Minister Walid al-Moallem has categorically denied claims about Iran’s military presence in Damascus, saying Tehran always seeks a political solution to the crisis in Syria. Speaking to reporters in Damascus on Monday, Moallem said claims by certain countries supporting terrorism that Iran has military forces in Syria are just a rumor. What the Rafidite Safavid enemies of the Ummah didn’t calculate is that Allah is the best of the planners and will expose them sooner than they might have thought. Allah is the best planner, and steadily the two camps – one which is the camp of Kufr (Rafidi Iran, Russia, China and Israel that despite its opposition to Iran PREFERS a secular-Alawite lead Syria over any strong Sunni state) and one which is the camp of Iman (the Syrian people and resistance) are being more and more distinguished so that there might be no excuse for anyone to side with the truth. 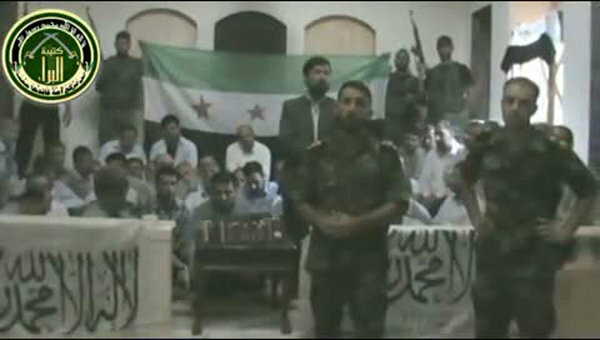 In fact, Rafidite Iran and their allies are exposed at their OWN hands, for recently some Mijahideen in Syria, the Daoud brigade, a group based near Idlib, in northwest Syria, overran a government position and captured videos of interviews given by Iranian commanders fighting in Syria. The ORIGINAL captured videos, surfaced online on September 9, are in Farsi and show the extent to which the Iranians are involved in the genocide against our Ahl Al-Sunnah brothers and sisters in Syria. 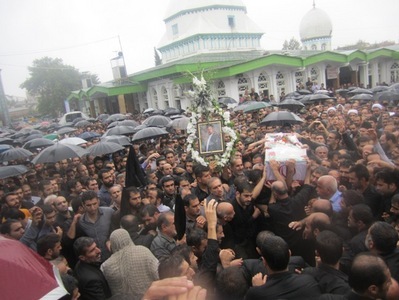 An official Iranian website published photos of Ismaïl Haydary’s (Revolutionary Guard commander in the clip) funeral, which took place in Iran, describing him as a “martyred general” and – like Mohsen – as a “defender of the Sayyida Zaynab shrine”. Portraits of him displayed at his funeral clearly show that he is the same man featured in the videos. The Syrian officers in the short documentary above and in other high quality videos (such as this one Youtube) do not seem troubled by the presence of a camera. All the videos are filmed in rather high quality, and the frame is stable. This lends credence to the claim that the footage was filmed with a camera and not a mobile phone. 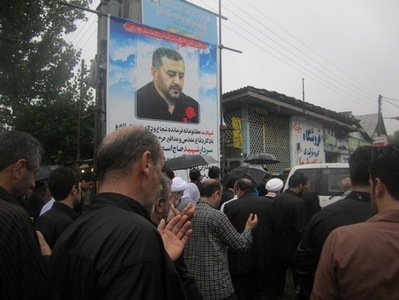 Perhaps not coincidentally, in late August, when the two Iranians seen in the videos were killed, a Persian news site mentioned that an Iranian filmmaker by the name of Hadi Baghbani had died in Syria. According to this site, Baghbani was killed by “Salafists” while filming “the Syrian army’s progress in its battle against jihadists”. Of course you won’t find PRESS TV and other Iranian mouthpieces reporting these contradictions, lies and deceptions since lying and deceiving is part of their Rafidite creed, so don’t expect much from them, they lie through their teeth in the age social media, turning Syria into Bahrain (SEE HERE>>>) and Revolutionary Guards into ‘pilgrims’. 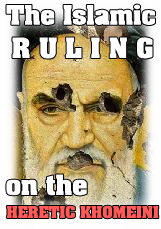 The Islamic Ummah will never forgive the crimes of the Kisra, Pharao and Yazid Khamenei, the Revolutionary Guards, the Rafidite regime and the ‘Ayatollahs’ against the Syrian people, their mask has fallen and they have exposed themselves at their own hands (SEE HERE>>>) and their the Rise and Fall of Iran in Arab and Muslim Public Opinion has become a reality (SEE HERE>>>) that will open the eyes of many Muslims around the world, especially those who were fooled by the empty chantings of ‘death to America/Israel’ of the Iranian regime. This entry was posted in N E W S, The Neo-Safavid State, عاشت سورية - Long live Syria. Bookmark the permalink.